This Sunday we introduce you to the Monarchidae – Monarchs Family. 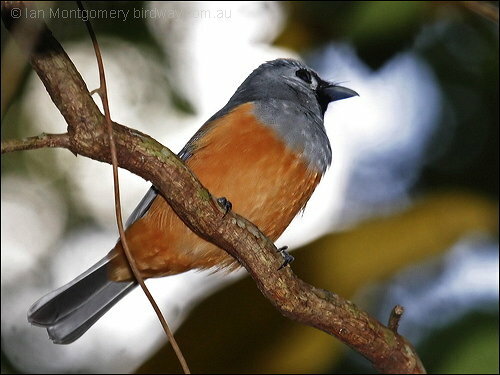 This family of Passerines (songbirds) has 99 members that inhabit forest or woodland across sub-Saharan Africa, south-east Asia, Australasia and a number of Pacific islands. Only a few species migrate. Many species decorate their cup-shaped nests with lichen. Monarchids are small insectivorous songbirds with long tails. The family is about equally divided between Monarchs and Flycatchers with a few other birds sprinkled in. Those other birds are Elepaio, Shrikebill, Magpie-lark and Torrent-lark. There are not many photos available to use, but if you click the different links on the Monarchidae – Monarchs Family page, you will taken to other sites to view those birds. The monarch flycatchers are generally monogamous, with the pair bonds ranging from just a single season (as in the African paradise flycatcher) to life (the Elepaio). Only three species are known to engage in cooperative breeding; but many species are as yet unstudied. They are generally territorial, defending territories that are around 2 ha in size, but a few species may cluster their nesting sites closely together. 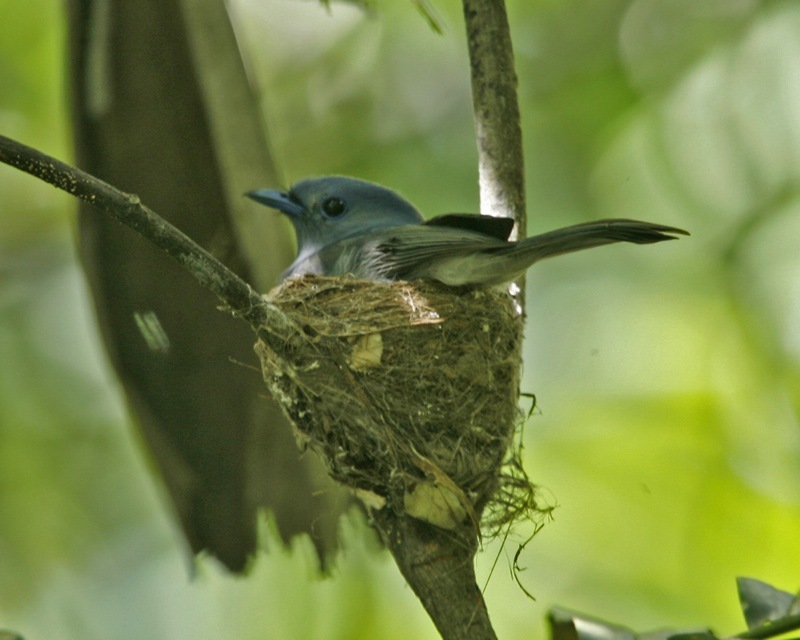 The nests are in turn often aggressively defended by monarch flycatchers. In all species the nest is an open cup on a branch, fork or twig. In some species the nests can be highly conspicuous. This entry was posted in Birds, Birdwatching, Sunday Inspiration and tagged Christian, Christianity, Dr. Richard Gregory, He's Looking On You, Home School, Monarchidae, Monarchs, Photography. Bookmark the permalink.